Colette’s Peony is the second dress I ever attempted. I had read others had issues with fitting it but my inexperience meant I didn’t really know how to grade the pattern or what to look for never mind how to correct it. 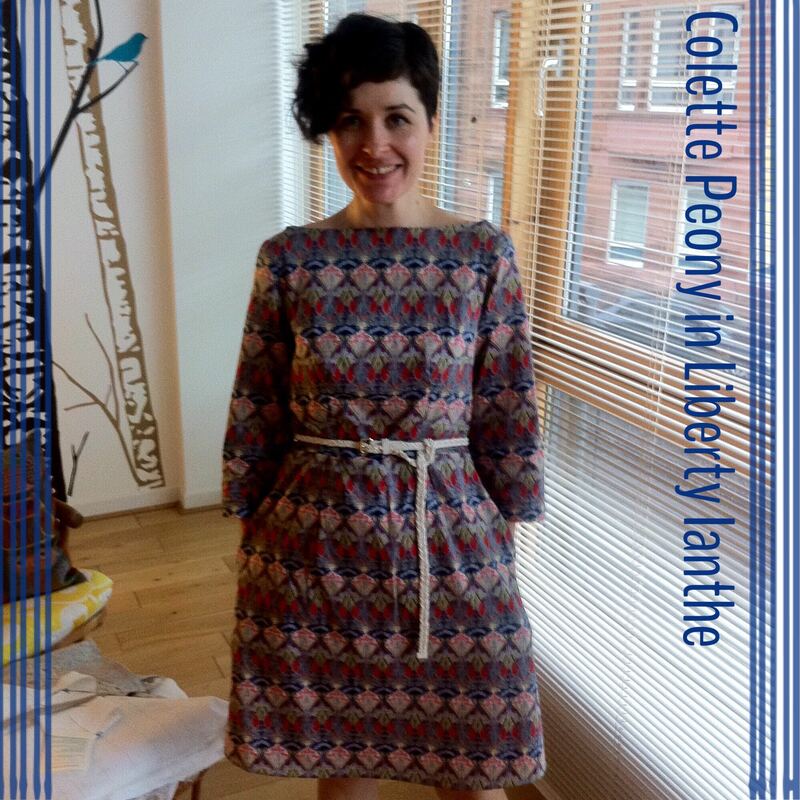 I love Liberty’s Ianthe print and I ended up fully lining the dress in plain red tana lawn. Adding the belt to it does help but I’ve only worn this out of the house once (that’s when the photo was taken). It is lovely and with a bit of work I think it could be a great fit but I would need to take it apart and alter it….probably not going to happen in a hurry. The skirt is ok but the bodice of the dress is way too big and I would at least need to move the darts and make the bodice smaller overall. I would also make the sleeves narrower. Even writing this is making me think it just sounds like way too much work. I do love the pockets though and the pocket pattern piece is my go-to pocket piece for pretty much every dress I make now. In my humble opinion all dresses should be made with at least one pocket. So this taught me to always make a toile, which is a good thing. I’m not sure I would make this pattern again. It would be beautiful if I put in the effort to get the fit right but there are so many other patterns out there that are also lovely and don’t need as much work.